Our clients are a mix of local, regional, U.S. and international entities. The firm has a strategic alliance with the Duan & Duan in China which provides Williams Kastner’s clients with an experienced resource in Asia. The lawyers we work with at Williams Kastner have provided exceptional service to our company on a national and regional level for more than 15 years. The lawyers are entrusted business partners who handle matters with great personal care. Our relationship goes beyond the typical Outside Counsel setup. They know Parker well and function as if they are employees of Parker. It is comforting knowing that Williams Kastner is on our team for such concerning litigation. With their extensive knowledge, experience and acumen they have serviced Parker very well over the years. Williams Kastner is Parker Hannifin’s national coordinating counsel on a variety of complex litigation matters. Williams Kastner helped us overcome business and legal challenges with timely creative, resourceful and strategic solutions. The lawyers have been great to work with, they deliver quality legal work and provide our company with exceptional service. Our real estate lawyers at Williams Kastner have substantial knowledge about our business and industry, and consistently provide trusted and top-notch legal counsel to meet our needs. For more than 20 years, Williams Kastner has represented Coldwell Banker Bain in compliance with license laws, forms, best practices, education, contracts, leases, industry matters, and litigation. Williams Kastner was lead counsel in Overload Golf’s asset purchase acquisition and debt and liability restructuring agreement for AboutGolf, the world’s number one distributor of golf simulator software and technology. 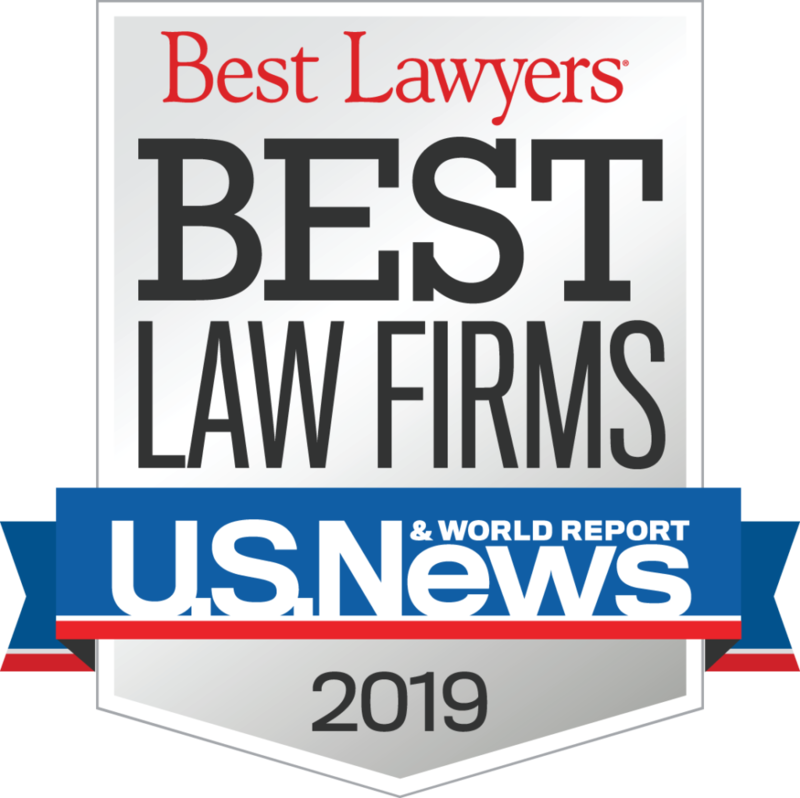 Practice Areas recognized in 2019 “Best Law Firms” list by US News and Best Lawyers. Williams Kastner is well known for its vast trial and litigation successes. We have substantial experience in a broad range of legal areas such as administrative law, antitrust, bankruptcy, breach of contract, class actions, commercial torts, construction, defamation, drug products, employment practices, fire and marine, intellectual property, insurance coverage, insurance defense, environmental and land use, lender liability, products liability, professional liability, real estate, securities, toxic torts and hazardous waste. As a firm we embrace diversity and inclusion through our people, our work and our support for, and participation in, community programs and projects which foster diversity. Works to prevent homelessness and hunger in Greater North Seattle by providing emergency services and assisting with basic human needs. Enlists local attorneys, law students, and law firm secretaries and paralegals in cities across the country to provide pro bono legal assistance to homeless individuals. Protects unaccompanied children who enter the US immigration system alone to ensure that no child appears in court without an attorney. Helps deserving, transformed, long-serving prisoners chart a path to clemency. Williams Kastner strongly believes in the importance of giving back to the communities that have contributed so deeply to the firm’s success. Our commitment to our local community enriches us as professionals, adds depth to our perspective and gives credence to our roots as a Pacific Northwest law firm. Listed here are some of the many other organizations in which our attorneys and staff members are involved or to which the firm has recently provided support through a financial contribution. The Campaign for Equal Justice is Washington’s only coordinated, annual fund drive for civil legal aid, and the fundraising arm of the Legal Foundation of Washington. CENTS empowers people to improve their financial health by developing educational and legal resources to help them prevent or overcome financial challenges. CourtCare provides free childcare program in downtown and East County courthouses of Oregon and has served over 16,000 children since it opened in 2001. Food Lifeline rescues food and provides meals to end hunger today for thousands of people across Western Washington. We’re also working hard regionally to provide a long-term solution to hunger that ensures that everybody has enough food to eat. The American Bar Associations’ (ABA) Fund for Justice and Education serves as the link between the ABA’s commitment to public service and its ability to produce programs that improve the lives of those we are entrusted to serve. The Greater Seattle Bureau of Fearless Ideas is a corps of youth and adults, staff and volunteers, families and local citizens who believe that the power of words, well-written and well-spoken, can open doors to important opportunities. Our tutoring, writing, and publishing programs prepare young people, ages 6 to 18, for a successful future by developing strong writing skills, championing diverse communication styles, and motivating young people to share their stories. IICF helps communities and enriches lives by uniting the collective strengths of the insurance industry in providing grants, volunteer service and leadership to local nonprofit organizations. The Mother Attorneys Mentoring Association of Seattle (“MAMA Seattle”) was founded in 2006 as an organization designed to empower attorney mothers and encourage professional success while celebrating our roles as attorneys and mothers. The Oregon Food Bank is dedicated to eliminate hunger and its root causes…because no one should go hungry. Safe Crossings Foundation is dedicated to helping grieving children who have lost a parent, sibling, or other loved one heal and thrive. Seattle Counseling Service is a community based organization that has been dedicated to promoting health and wellness within the LGBTQ community for 45 years. The Public Interest Law Foundation (PILF) is a student-led organization committed to increasing awareness of the rewards, challenges, opportunities, and needs in public interest law. Andrew Legal Clinic (SALC) serves low-income families in Oregon with their family law needs. United Way brings caring people together to give, volunteer, and take action to help people in need and solve our community’s toughest challenges.